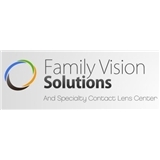 Family Vision Solutions (Houston) - Book Appointment Online! We proudly provide quality eye care to the community of Houston, TX and surrounding areas. Our featured services include comprehensive medical eye care, emergency medical eye care, contact lenses, and glasses. Doctor and staff were very polite and professional. Doctor seemed knowledgeable when discussing my eye condition and I will return again to this clinic for my next eye exam. Dr. Charrrier is one of the most pleasant doctors I have ever seen. Great energy and funny!